The "visiting non-degree student" status was established to provide qualified individuals with a completed undergraduate degree from an accredited institution (and a cumulative GPA of 3.00 or higher) with the opportunity to enroll in 1–2 graduate-level classes during the fall or spring semesters for their own benefit or, in some cases, to complete a few prerequisites for graduate-level programs to which they are applying. 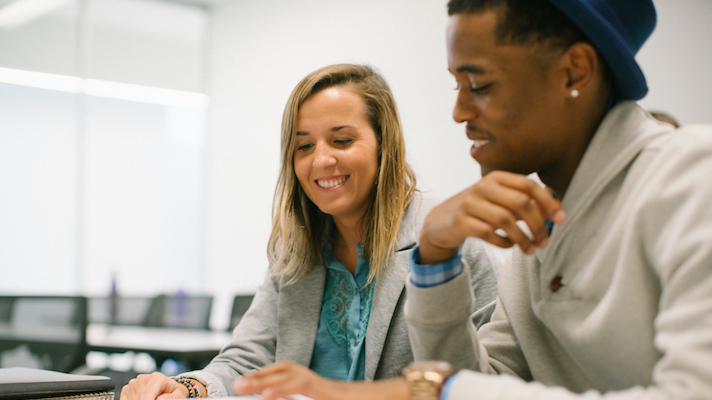 This status is not intended for long-term enrollment—if you are registering for graduate-level courses, you can complete a maximum of 9 credits while in this status. If you are hoping to enroll in additional coursework, you should apply directly to your graduate program of interest. Permission to enroll in the "visiting non-degree" status does not confer or imply admission to any graduate program at Georgetown University, regardless of the grade(s) earned in these courses. Even if you are later accepted into a Georgetown graduate program, please keep in mind that credits earned in this status might not be allowed to transfer into that degree program. 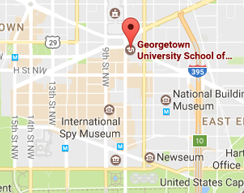 To enroll in graduate-level courses during the summer, you may need to apply and gain admission through Georgetown Summer Sessions. You may request to enroll in courses in the Bachelor of Arts in Liberal Studies program as a visiting non-degree student and complete up to 12 credit hours in this status. Please note that the Bachelor of Arts in Liberal Studies is the only undergraduate program that you may take courses from through the "visiting non-degree" status. If you are interested in taking undergraduate-level classes from any other department, please contact Georgetown's Office of Undergraduate Admissions and inquire about their Visiting Student Program. If you are currently enrolled in a college or university within the Consortium of Universities of the Washington Metropolitan Area (such as American University, George Mason University, or The George Washington University, among others) you should follow the procedures described on the Registrar's Office website to seek permission to enroll in courses. Your official transcripts, Registration Request Form, and departmental permissions must be received by the application deadline for your intended semester of enrollment in order to be eligible to take your desired course(s). The McDonough School of Business does not currently accept visiting non-degree students. The School of Foreign Service does not currently accept visiting non-degree students. The School of Continuing Studies will accept registration requests from visiting non-degree students for courses in the Master of Professional Studies programs (except for the Executive Master of Professional Studies in Emergency & Disaster Management and the Executive Master of Professional Studies in Global Strategic Communications), the Master of Arts in Liberal Studies program, and the Bachelor of Arts in Liberal Studies program. For more information about other departments and schools, please contact us.